Marvel Comic Heroes will join forces for 3 days only in Orlando to take on Loki and some of the most evil villains that the comic world has ever seen in Marvel Universe LIVE! Something BIG is coming to the Amway Center! Starting on December 5th, a battle of epic proportions will be taking place with some of your favorite childhood superheroes! That’s right, Spider-man, Thor, Captain America, Hulk and more will be trying to save the Amway Center from some of the most evil men that the comic book pages have ever seen! Orlando Fun and Food will be at the opening performance of Marvel Universe Live here in Orlando, so make sure you follow us on Instagram, Twitter, and Facebook for exclusive photos from the performance! Marvel Universe LIVE is a live action stage show that is produced by Feld Entertainment (same producers as Ringling Brothers Circus and Disney on Ice) and is one of the biggest traveling shows ever produced! Comic fans everywhere are raving about this amazing show and it is finally making it’s way to Orlando! 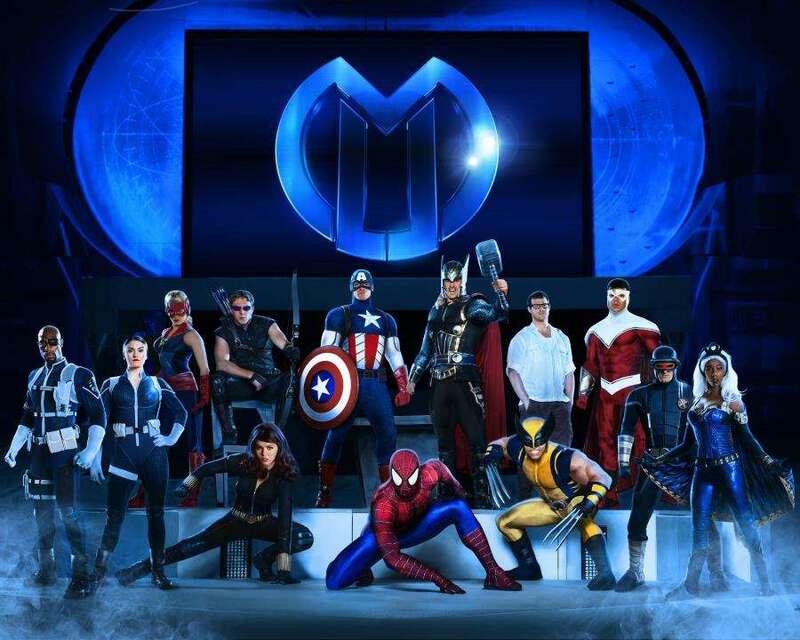 Marvel Universe LIVE will captivate audiences with an authentic and original story that brings more than 25 Marvel icons together on one epic quest. The Cosmic Cube, the source of ultimate power and one of the most feared and coveted treasures in the Marvel Universe, has been shattered into pieces by the Mighty Thor in order to prevent it from falling into the wrong hands. With the pieces scattered across the globe, Thor’s villainous brother Loki devises a scheme to clone its powers, inciting a threat that could not only decimate Earth but also obliterate the Universe. December 5th, 2014 7:30 p.m.
December 6th, 2014 11:00 a.m. 3:00 p.m. 7:00 p.m.
December 7th, 2014 11:00 a.m. 3:00 p.m. 7:00 p.m.
Buy tickets at amwaycenter.com, Chase Box Office at Amway Center, Ticketmaster retail locations, charge-by-phone at 800.745.3000 or at Ticketmaster.com. HERE IS SOME HUGE NEWS!!! Because you all are loyal readers of Orlando Fun and Food, were giving you an exclusive promo code to save 25% on your tickets!!! Make sure you pre-order tickets now because they are going FAST! When checking out just use promo code SAVE25. To discover more about Marvel Universe LIVE!, go to www.marveluniverselive.com! Will you be attending Marvel Universe LIVE? If so what superhero are you most excited to see? Comment below and let us know!! Hope to see you all at the show!